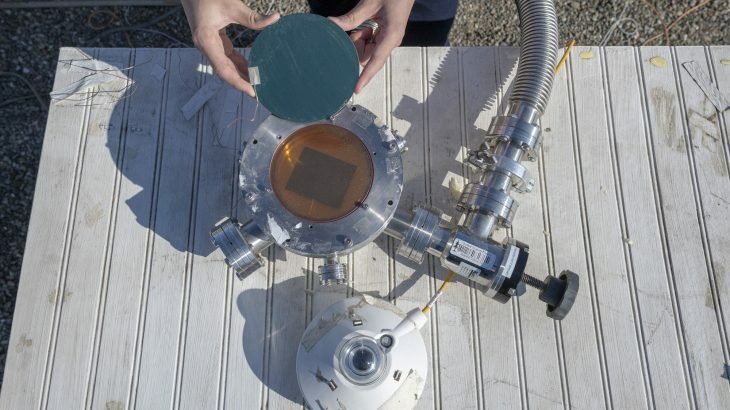 In an unprecedented study, researchers at Stanford University have shown that heat from the sun and coldness from outer space can be collected at the same time with a single device. The findings suggest that systems for harvesting solar and space energy can actually help each other function more efficiently. While solar energy is the most popular form of renewable energy for generating heat, outer space can serve as a renewable source to absorb radiation and generate cold. Professor Chen’s team developed a device combining radiative cooling with solar absorption technology. The device was constructed with a germanium solar absorber on top of a radiative cooler with silicon nitride, silicon, and aluminum layers enclosed in a vacuum. The experts demonstrated that the device can produce 24 degrees Celsius in solar heating alongside 29 degrees Celsius in radiative cooling. The solar absorber was found to improve the radiative cooler’s performance by blocking heat from the sun. “On a rooftop, we imagine a photovoltaic cell can supply electricity while the radiative cooler can cool down the house on hot summer days,” said Professor Chen. According to Professor Chen, there is still a lot of research needed before this promising technology can be scaled up for commercial use. Regardless, the research demonstrates that renewable energy has even more rooftop potential than previously realized. The study is published in the journal Joule.